For some seniors taking daily medication is necessary to improve or maintain a comfortable quality of life. Failure to take medication regularly, and at instructed times can be a big problem for some people. Non-compliance to following a medication schedule is actually quite common among the elderly. Many factors can affect your loved one’s capability or readiness to observe and obey a medication routine. Frequently, nursing home or hospital admissions are the result of failure to take prescribed medication. Providing the support your loved one needs, can play a big role in sticking to recommended medications and treatments. Having your loved one stick to a routine of taking daily or weekly medications can be as simple as arranging effective support. 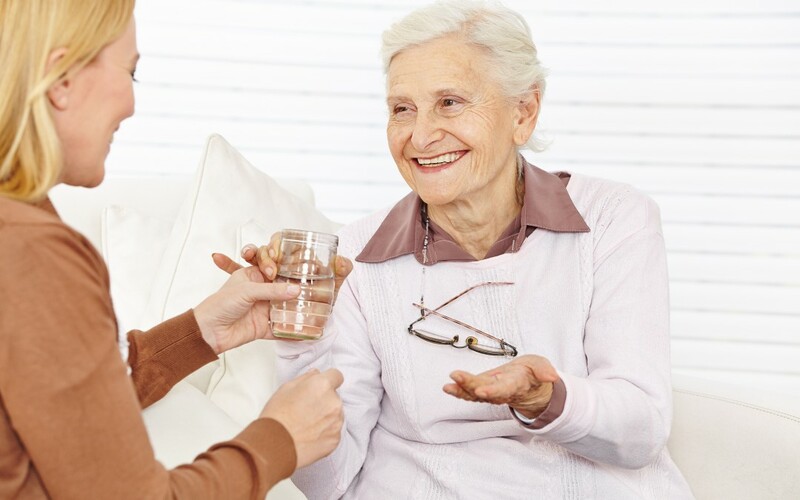 Our caregivers at Retire-At-Home Toronto can assist with medication administration routines in the home. We can help with setting up a routine that is convenient, and ensuring that the schedule is followed. Our caregivers are trained to make taking medication as unobtrusive as possible, making the situation seem less daunting. If the problem is mental, this may mean your loved is unwilling to take medication. This can happen due to lack of information, lack of interest, or lack of confidence. We can help ensure your loved has all the relevant information needed to make an informed decision about the medications. We can illustrate the importance of taking these medications, and demonstrate proper techniques for administration. When your loved one becomes aware of the benefits and sees how painless the process is, schedule adherence is usually no longer an issue. When your loved one experiences an obstacle in taking prescribed medication, communication is key to solving the issue. Encourage your loved one to express any reservations or problems they have with taking the medication so those concerns can be properly addressed. Getting the right support can serve to provide fundamental education and motivation to solve non-compliance issues when adhering to medication schedule.